Vanuatu's leading self-contained resort. The Terraces Boutique Apartments, offers you the chance to stay in accommodation as spectacular as the surrounding location. 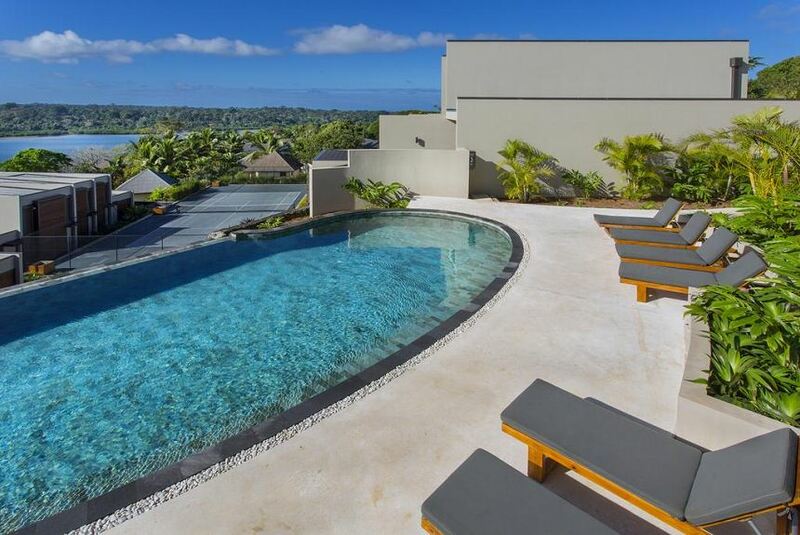 Built on a clifftop, the luxurious apartments at The Terraces Boutique Apartments enjoy spectacular views over established tropical rainforests to the sparkling waters of the Erakor Lagoon. The 16 apartments are elegant and contemporary in design both inside and out. Features such as private plunge pools, stone baths that fill from the ceiling, and high quality furnishings give the apartments a unique wow factor. The Terraces Boutique Apartments are conveniently located a ten minute drive from Bauerfield International Airport and a ten minute walk from the hustle and bustle of Port Vila.